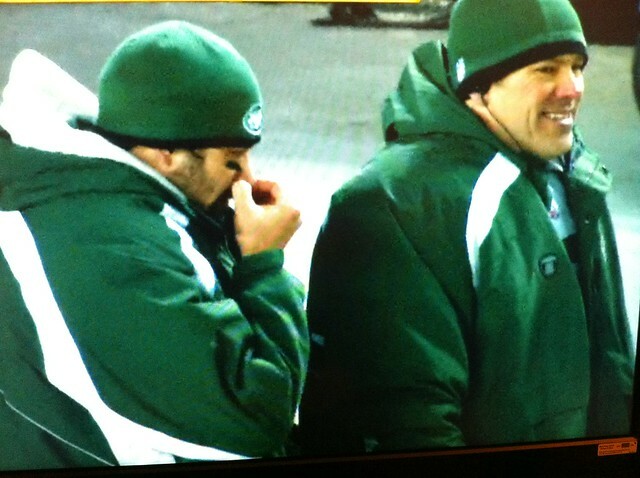 Jets QB Mark "Dirty" Sanchez Wipes Booger on Backup QB Mark Brunell from baratunde on Vimeo. Fair use for commentary purposes of a disgusting moment in sports history. Since the incident above, the Jets have suffered mightily, scoring not once in the first half and experiencing several injuries. The curse of the booger, perhaps?